In our humble opinion, Highlight Homes believes Atlanta is #1! At the beginning of September 2013, Harris Interactive – one of the world’s leading market research firms – placed Atlanta as the third “happiest” metro area in America in its Harris Poll of Happiness Index. Dallas/Fort Worth snagged the top slot at #1, with the fellow Texas metropolis of Houston not far behind at #2. The people of Philadelphia, Pennsylvania indicate that they are just as happy as the Georgia Peaches of Atlanta, so – being the bastions of Southern Hospitality that we are – we share the coveted #3 position. As far as reasons for this happiness go, Atlanta beats the rest of the contenders out with our number of respondents who feel optimistic about the future at 81%. 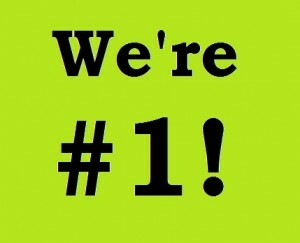 Here at Highlight Homes, our design-build team places Atlanta at #1 of greatest cities to live. That’s why we regularly assist homeowners with thoughtfully designed and masterfully implemented renovations to make their home a place with which they can fall in love all over again. We also offer semi-custom and custom construction homes, so homebuyers can build the house of their dreams right here in Atlanta. If you would like to begin construction on your new Atlanta home OR you currently own a home anywhere in the Metro Atlanta area and wish to stay put and renovate, we encourage you to contact us TODAY for a no-obligation consultation. Our design-build team looks forward to your call at 678-873-9234. We can also be reached via e-mail at info@highlighthomesga.com or our convenient online contact form. For more information about Highlight Homes and the services we provide, please visit us online at www.highlighthomesga.com. Let’s Get Connected! “Like” us on Facebook, “follow” us on Twitter and “pin” us on Pinterest!